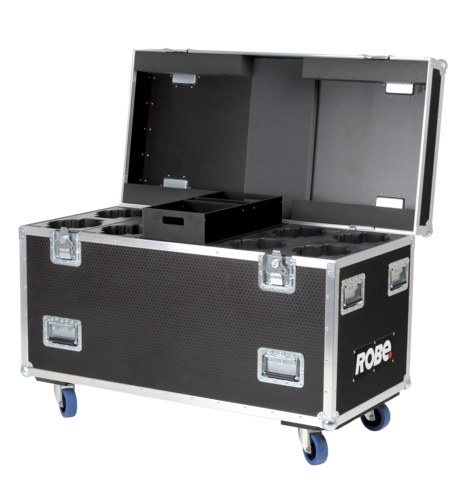 An ideal solution for eight ROBINs ParFect 100 in touring and rental applications. You will love the additional four compartments for extras and accessories! It is constructed from high-quality, water repellent 7 mm thick plywood, with a black finish exterior and aluminium protected edges and tough steel corners. This case is equipped with four metal recessed wheels for easy transportation.